Bet365Bingo | Win a luxury holiday with the Winter Wishlist! Lord Bingo News Bingo Promotions Bet365bingo launches Winter Wishlist Christmas promo! Bet365bingo launches Winter Wishlist Christmas promo! The holiday season is just around the corner and the Christmas bingo promos are already beginning to pop up all over the place. One of the hottest new Christmas bingo promos on Lord Bingo's radar is Bet365bingo's brand new Winter Wishlist. The promo lets players participate in four different weekly games in the special Gifts Galore bingo room. Players can win all sorts of Christmas prizes from shopping sprees to luxury holiday trips. Games are available on Bet365bingo from now until 14th December where you can win free tickets to the weekly All Winners game which has massive prizes up for grabs. Players will be rewarded with a Free Ticket every time they hit a full house in the Gifts Galore room between 11.00-12.00 and 15.30-17.30 UK Time. There are also prizes for one-liners, two-liners and full houses beginning at 8.30 UK Time. Your free ticket wins will be entered in to the £500 Community Jackpot prize pot. 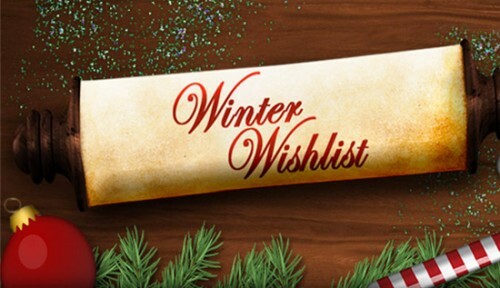 Check out the amazing Winter Wishlist at Bet365Bingo now and have a very merry Christmas!